Thomas Ray Leasure, Sr. peacefully passed on Monday, March 25, 2019 at Howard County General Hospital, Columbia, MD, with his family at his side. Tom was born on September 19, 1959 in Cumberland, Maryland to Marion June Hammann Leasure and Homer Russell Leasure. He was the youngest of four children and is preceded in death by his parents. Tom graduated from Allegany High School in 1977. He was a drummer in the high school band and a drum major. After graduation, he was employed as a salesman for Campbell Chevrolet, and later transitioned into Fleet Sales there. He moved to Columbia and was employed at Curtis Chevrolet in D.C, and Miller Brothers Ford. For the past 10 years, Tom was the Government Sales Manager in the Fleet and Commercial Sales Department for Apple Ford. He was well thought of in the automobile, truck and fleet industries. He loved being a mentor and excelled at his job, earning numerous awards for his achievements. Some would say Tom was a workaholic. Tom was a great bowler and was so proud when he earned his 300 game-ring. He was an avid golfer, and loved trout fishing, especially in the Casselman River. He was a Redskin fan and looked forward to attending the games. He also enjoyed his trips to the Rocky Gap Casino. Tom loved music, especially the drums. 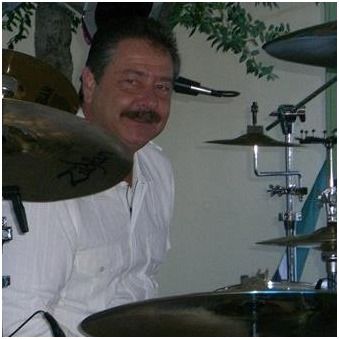 He was a great drummer and vocalist, and he played those drums with all his heart and soul. Tom played in many local bands, including the Chinese Bandits. Tom and his brother, Craig, who played bass at the time, played together for the first time at the FSU Lane Center in 1975. They rocked on together in local bands for many years after that. At family cookouts, he was famous for his grilled shrimp. He was a kind, loving man, and a great guy. He had a kind and gentle spirit, and is leaving everyone with wonderful memories. He made an impact on the world in his own way. He will be missed by family, friends and everyone who knew him. Tom loved his family and is survived by his loving Partner, Barbara (Bobbi) Johnston, Woodstock, MD, his four sons (Tony Leasure, Frostburg; Thomas Leasure, Jr. and his wife Megan, Frostburg; Zachary Leasure, Baltimore and Keith Durst and his wife, Koby, Grantsville), six grandchildren (Kaylee Durst, Kyle Durst, Delia Leasure, Paige Leasure, Curtis Breau and Wyatt Leasure) three siblings (Sister Sharon Leasure and husband Steve Wilkinson, LaVale; brother Craig Leasure and wife, Betty Jo, Flintstone, and Sister Diane Andresakes and husband, Michael, Mechanicsburg, PA), and numerous nieces and nephews. A memorial service and celebration of life will be held on Sunday, April 7, 2019, 2:00pm, at the Harry H. Witzke Family Funeral Home, 4112 Old Columbia Pike, Ellicott City, MD.